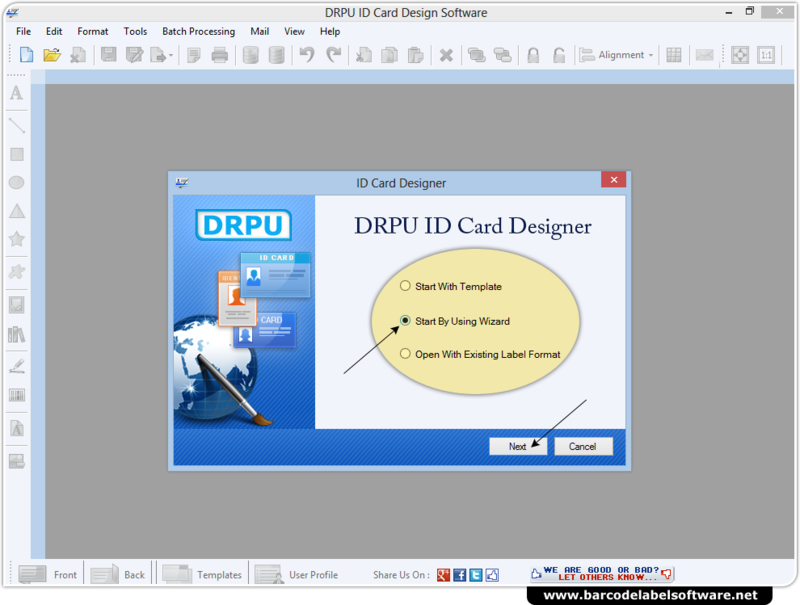 Choose any one option among Template, open with existing Label Format or wizard. 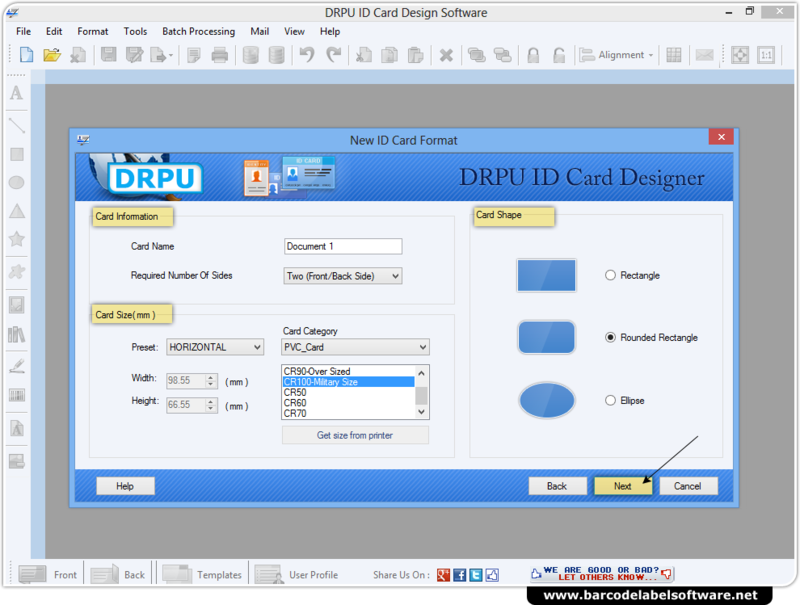 Choose Card Shape, Card Size as per your requirements. 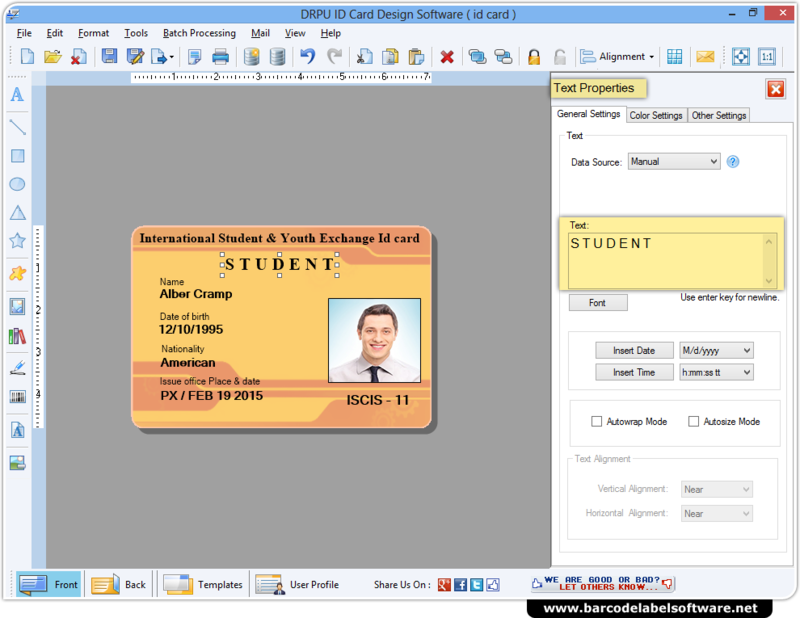 You can choose image for your card by browsing the path of that image and set Card Border, Card Background. 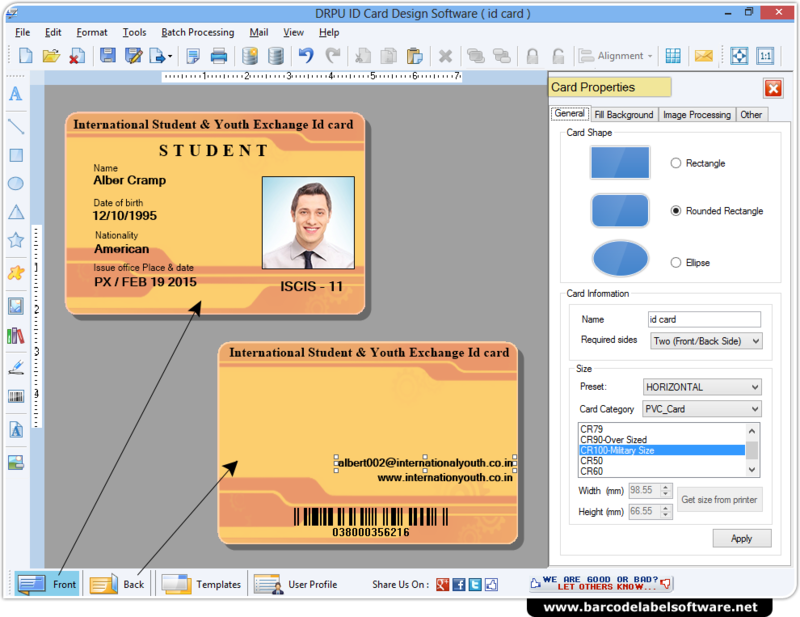 Add Text on your Card using Text Properties. 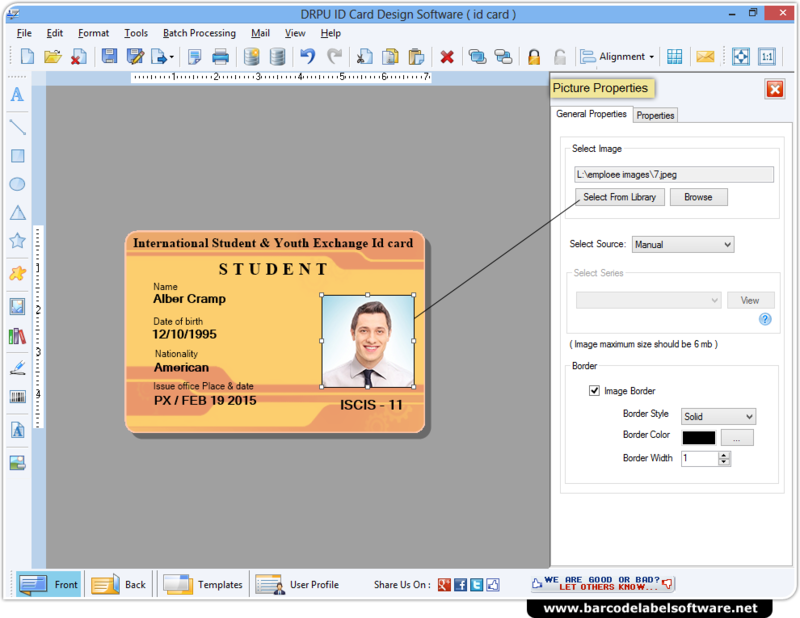 Using Picture Properties, you can add image on your ID Card. 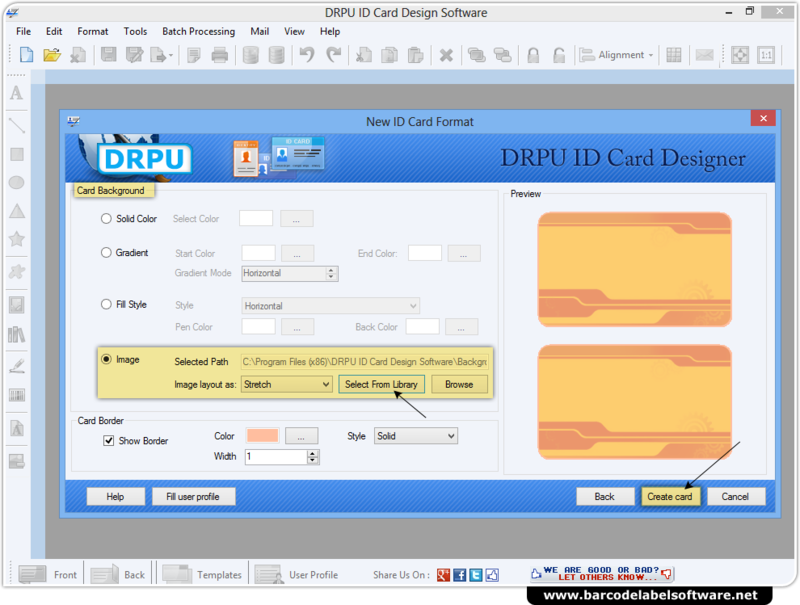 Here, you can see your designed ID Card with Front and Back view.